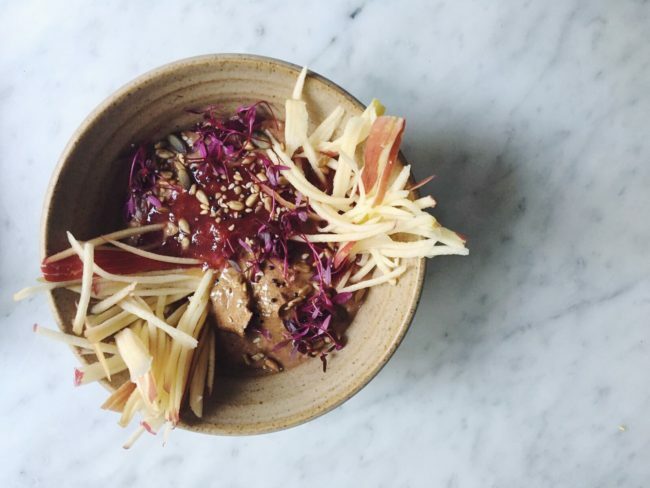 Alex Hely-Hutchinson, the brains behind 26 Grains in Neals Yard, carved a name for herself in the food industry four years selling porridge (with all the trimmings) at a pop-up stall in Old Street. 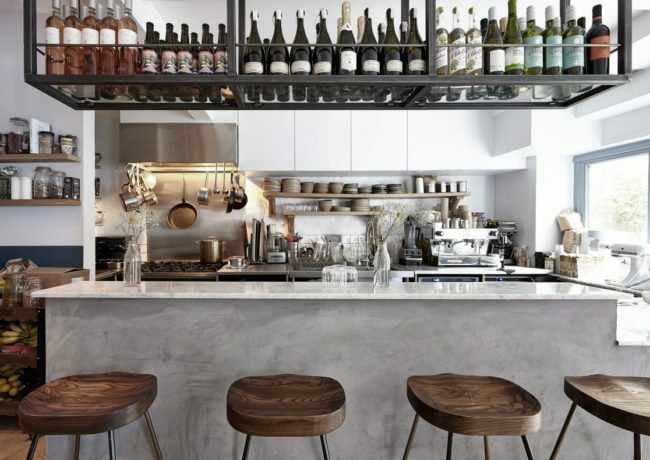 Fast forward to present day and Alex has released and cookbook and now runs a stunning and constantly busy cafe that serves everything from porridge (naturally) to seasonal savoury dishes. 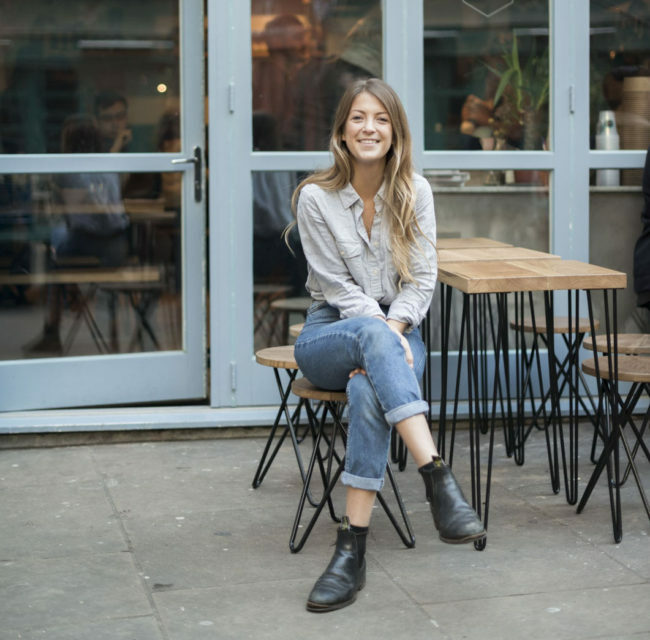 I recently caught up with Alex to discuss challenges in business and to discover where she enjoys eating out on days off from the kitchen. 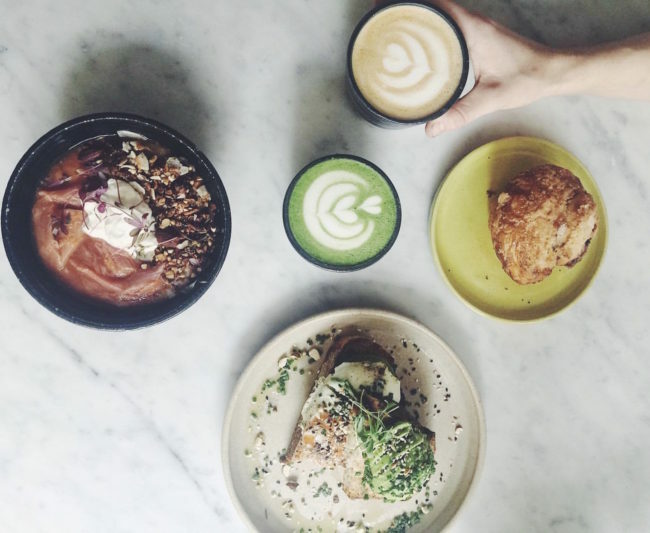 26 Grains began life as a pop-up at Old Street station, what was your initial inspiration to launch your own business? I wasn’t satisfied in what I was doing and was obsessively talking about starting something and so just thought, I’m being a real bore, I better just go ahead and do it. I really didn’t know where it would take me. 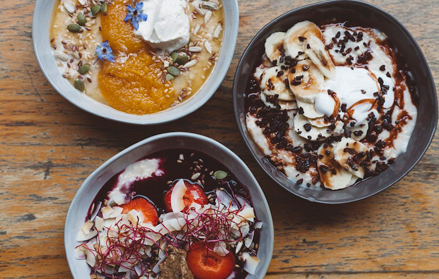 You’ve been dubbed as the queen of porridge, what is it about porridge that you love so much? I like how comforting it is. How so many people have some memory of it, making it instantly familiar, but also the stories that go with it; dad served it salty with cream, girlfriend served it with cheese and chives. It’s so versatile, sweet or savoury, and has been eaten in a number of different countries and culinary traditions for centuries. You opened your Neal’s Yard site nearly three years ago now, what are the core values at the heart of your business? Nearly two years! Still pretty early days. We always go on about quality, simplicity and seasonality. Makes for a clear vision, easy to understand menu and delicious seasonal food. Where do you find inspiration for new dishes and recipes? Eating out (which I don’t do enough), online, in empty fridges when it’s like a mystery box of ingredients, over at friend’s houses, cookbooks, travelling. What’s the biggest challenge you’ve faced since starting your business? Gahd, there are so many! I guess initially, delegating. And then when you’ve got that, trying to strive towards a common goal with your team. What has been the most rewarding thing about starting your own business? Having an idea and being able to execute it straight away. From one girl boss to another, what advice would you give you other women wanting to start their own business? Stop doubting, get some confidence. Things have to get messy before they get good. Like with cooking, you have to create a mess before plating that final dish. What is your favourite part of working for yourself? Building something that you feel really proud of and wouldn’t have done it any other way. You’ve written a cookbook and run a busy central London foodie hotspot, how do you balance work/home life? At the beginning I was terrible. It was all I could think about. And then you work out how to trust people in your business and how that can spread the workload and any worries. Also realising that so many good and bad things can happen, but as long as you’re rested and have your head screwed on you can get through it. We used to have a joke, name it and I bet it’s happened to us, but in hindsight nothing really has ever been that bad. What are your future goals for the 26 Grains? I’d like grow it to more than one site, develop the brand a little more, do another book with my sister and enjoy it. Maybe do some yoga if I have the energy, cook something really simple, listen to a podcast and read a little. Talk us through your day in food: do you have time for breakfast in the morning? Breakfast: Can be any of three things, porridge, eggs or a smoothie that is basically like chocolate milk. Breakfast. There’s nothing you can’t have for breakfast. Pastry, yes, salmon, yes, cold roast beef, sure! Where are your favourite places to eat out? I mostly like to eat at places with good everyday food: Duck Soup, 10 Greek Street, Uchi. Maybe some homemade fresh pasta, perhaps some tabbouleh and baba ganoush, anything that is delicious but simple that we can have a few glasses of wine together instead of worrying too much cooking.